If you have ever thought about having your portrait made - or perhaps a portrait of someone you LIKE, LOVE, ADMIRE or DESIRE - but thought it was too expensive, too lengthy or too confusing a process, you're not alone. Investing in art can be intimidating. If you have someone graduating from school, retiring, celebrating a birthday or some other important life moment that you'd like to capture in a one-of-a-kind work of art then please read on because we are offering a way to make that dream a reality that is fast, affordable, generous and really fun. 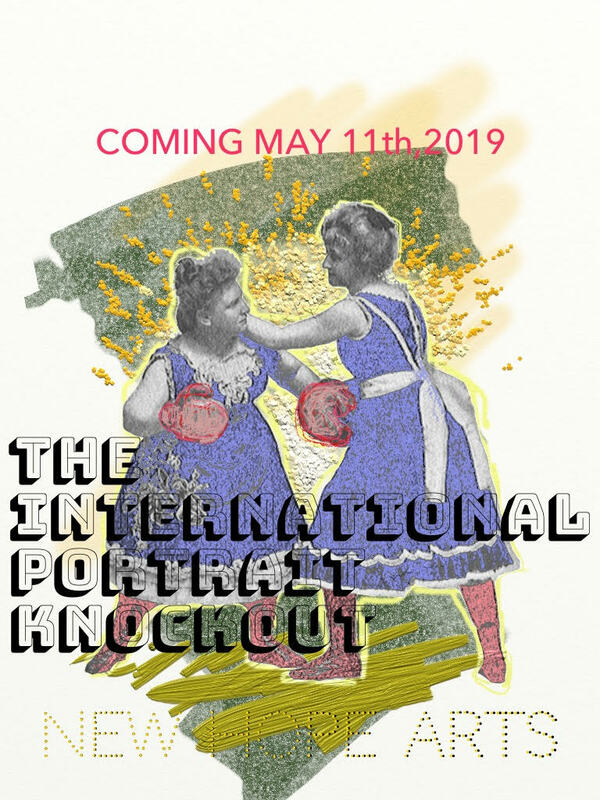 As part of the International Portrait Knockout - a wild and crazy pop-up ART-meets-SPORT event taking place at the New Hope Arts Center on May 11, 2019 - you can have two portraits painted simultaneously LIVE in just 90 minutes. It really is that easy: for the low, low investment of $300, when you sign up to be an IPKO COMMISSIONER you will take home TWO vibrant portraits of one beloved person at the end of the day. Incredibly, that is 2 fresh PAINTINGS from talented, and sometimes world renowned artists for mere peanuts. So, you get two great things while you'll be directly supporting two great things: living artists AND a cherished non-profit that is dedicated to furthering the heritage of New Hope as a center for art and artists. STEP 1. CLICK HERE to apply to be one of the lucky 10 who get to commission two IPKO artists to paint someone special during the 2nd round of the competition! The seats are filled on a first come first served basis. STEP 2. the Sitter completes a short questionnaire at least two days before the event. This will be used by the artists to gain knowledge about their muse. STEP 4: at the conclusion of the event, the Commissioner gets to take home TWO portraits to hang on their walls and cherish for themselves, or give as a gift... or both! Yes, it's true! During the THE COMMISSIONERS ROUND, two incredible artists will team up and each will paint a portrait LIVE while you or the person of your choice sits incredibly still and models for them. Artists will receive 50% of the sale of their work. 50% of the proceeds will go to the New Hope Arts Center. If we tickled your curiosity, please use THIS LINK to fill out the form and reserve your COMMISSIONER spot before this incredible opportunity goes away: there are after all only 10 spots available. ✔︎ 50 talented artists from New York City, Philadelphia and beyond (and closer) come together to compete in this not-to-be-missed Art-meets-Sport event. ✔︎ Tirelessly rendering over 5 rowdy rounds of live portrait painting, the artists will subject themselves to a process of elimination by a professional jury, in a “Winner Takes All” creative battle. Our mission is to foster a growing artistic community centered around contemporary concerns while creating and sustaining art spaces focussed on presenting contemporary art, supporting emerging talent, and providing community driven opportunities.